President Recep Tayyip Erdoğan has announced that July 15, when a renegade faction within the Turkish Armed Forces (TSK) attempted to stage a coup, will be declared a public holiday. Erdoğan’s announcement came during one of his regular meetings with muhtars (neighborhood heads) at the presidential palace in Ankara on Thursday. 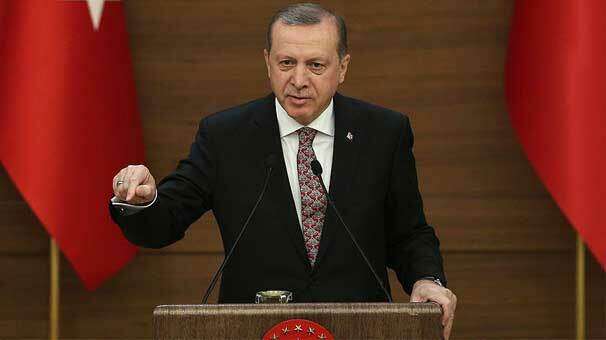 “Every July 15 will be marked as a public holiday to commemorate our martyrs and veterans,” Erdoğan said. Turkey experienced a military coup attempt on July 15 that killed over 240 people and wounded more than a thousand others. Following the putsch, the government changed several place names to July 15 such as the Bosporus Bridge in İstanbul. In his speech Erdoğan also said a three-month extension of emergency rule, which was declared in the aftermath of the coup attempt, would be for the benefit of Turkey, adding that extending emergency rule to even 12 months may not be sufficient. Following the president’s remarks, the Turkish lira dropped to TL 3 to the US dollar for the first time since August.